Having an outdoor heating oil tank in a climate like ours can be problematic, as you may have experienced in recent years here in the Hudson Valley. Mostly, that’s because when heating oil drops below a certain temperature, it “gels” – that is, it freezes into a thick, viscous sludge (oil doesn’t reach a solid state when it freezes, the way water does). Heating oil tank — When oil gels inside your heating oil tank, the sludge settles to the bottom, shrinking available space and leaving behind less burnable oil. Heating oil lines — Gelled oil builds on heating oil line walls, narrowing the passage way like a clogged artery. With less fuel reaching the igniter, your heating efficiency will suffer, leading to higher energy bills. Atomizing nozzle — The atomizing nozzle turns liquid heating oil into a vapor that can be burned inside your heating equipment – but gelled fuel can block that nozzle, meaning that less oil will get through to convert to heat. Once again, heating efficiency suffers, leading to higher bills for you and, eventually, repairs for your heating equipment. Fuel filter — As gelled oil is forced through the filter, it clogs quickly and needs more frequent replacement. There are several ways to prevent heating oil gelling – here are six of them. Just remember: NEVER tamper with your heating oil equipment or fuel! Leave any adjustments of your system to qualified heating maintenance and repair technicians. Use treated oil — Heating oil additives are designed to fight freezing and the sludge. Contact us to learn more about heating oil additives. Using blended heating oils — A mix of diesel and kerosene will lower the gel point of the heating oil. Cover your heating oil tank — Build a shed around your heating oil tank to insulate it against the elements. Bury your fuel line — If you have an aboveground heating oil line, consider burying it. The ground will naturally insulate the lines. Install a wider fuel line — A wider fuel line can minimize gel blockages. Get professional heating service every year — Preventative maintenance is the key to staying on top of gelling and other winter problems. If you haven’t had your annual preventative maintenance for your heating system – it’s not too late – but do it soon, before winter really hits. 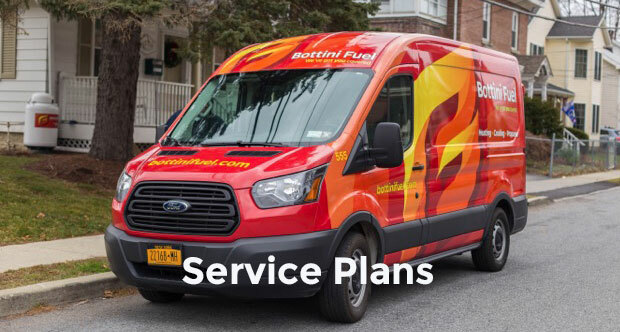 For professional service and reliable heating oil deliveries in our Hudson Valley Service Area, trust the pros at Bottini. Contact us today to learn more, or to become a Bottini Customer.